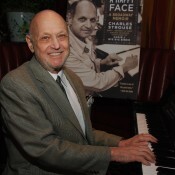 Charles Strouse is one of America’s most successful musical theatre composers. His first Broadway musical, BYE BYE BIRDIE (1960), written with his long-time collaborator Lee Adams, won him a Tony Award and the London Critics Best Foreign Musical Award. In 1970, APPLAUSE, starring Lauren Bacall, achieved the same honors, and his smash hit, ANNIE (1977), written with lyricist Martin Charnin and librettist Tom Meehan, also won Tonys for Best Score and Best Musical, as well as two Grammy Awards. Among his other musicals presented on Broadway and in London’s West End are ALL AMERICAN (with a book by Mel Brooks), GOLDEN BOY (starring Sammy Davis Jr.), IT’S A BIRD, IT’S A PLANE, IT’S SUPERMAN (produced and directed by Hal Prince), I AND ALBERT (directed in London by John Schlesinger), and DANCE A LITTLE CLOSER, written with Alan Jay Lerner. His musical CHARLIE & ALGERNON won a Tony nomination for Best Score in 1981. RAGS, with lyrics by Williamson Music’s Stephen Schwartz, a book by Joseph Stein, and proudly represented by R&H Theatricals, also received a Tony nomination for Best Score (1987), as did NICK AND NORA (1992). Strouse wrote both the music and lyrics for off-Broadway’s MAYOR, and teamed again with Martin Charnin to create ANNIE WARBUCKS, the sequel to ANNIE. Strouse’s film scores include BONNIE & CLYDE, THE NIGHT THEY RAIDED MINSKY’S, and ALL DOGS GO TO HEAVEN. The Strouse and Adams song “Those Were The Days,” the theme song for TV’s ALL IN THE FAMILY, is one of the most popular television themes of all time. “Born Too Late,” a 1958 pop song written with Fred Tobias, was a top-10 BILLBOARD chart hit and is still heard on many oldies stations. Strouse’s musical talents also include chamber, orchestral works and opera. NIGHTINGALE, an opera based on the Hans Christian Andersen story for which he wrote the music, book and lyrics, was recorded by Sarah Brightman. CONCERTO AMERICA, composed in 2002 to commemorate 9/11 and the spirit of New York City, received its world premiere from the Boston Pops Orchestra on June 30, 2002, with pianist Jeffrey Biegel as soloist. ON THIS DAY, an anthem written for the White House Commission on Remembrance, was performed on Memorial Day, May 26, 2003, in front of the Iwo Jima Memorial in Arlington, Virginia for an audience that included the President and the Joint Chiefs of Staff. In 1999, ASCAP presented Charles Strouse with their coveted Richard Rodgers Award for his achievement in musical theatre. Other awards include an Oscar Hammerstein Award for Achievement in the Theatre from the York Theater; the Frederick Loewe Award from The Dramatists Guild; and the Creative Arts Award from the Elaine Kaufman Cultural Center. Mr. Strouse is also a long-standing member of the Songwriters’ Hall of Fame and the Theatre Hall of Fame. A graduate of the Eastman School of Music, Mr. Strouse studied under Aaron Copland and Nadia Boulanger. In 1977, in just one of many ways in which he has sought to pass on his experience to others, Mr. Strouse founded the ASCAP Musical Theatre Workshop in New York, through which countless young composers and lyricists have found a forum for their work. Er werden geen resultaten gevonden die aan uw zoekcriteria voldoen.